When Hubby and I were in Mexico last month, I discovered Chilaquiles – a traditional Mexican breakfast made with chips. My favorite version was called the country breakfast and included chicken, a tomato-based sauce, and lots of queso fresco. So today when we went to Cafe Kacao, a Guatemalan breakfast place here in OKC, and I saw a similar dish, I had to try it. What they called Migallas, was almost a perfect replica of the breakfast dish I thoroughly enjoyed in Mexico. A combination of chips, eggs, jalapenos, queso fresco, and red and green peppers, Migallas was was well flavored and filling. 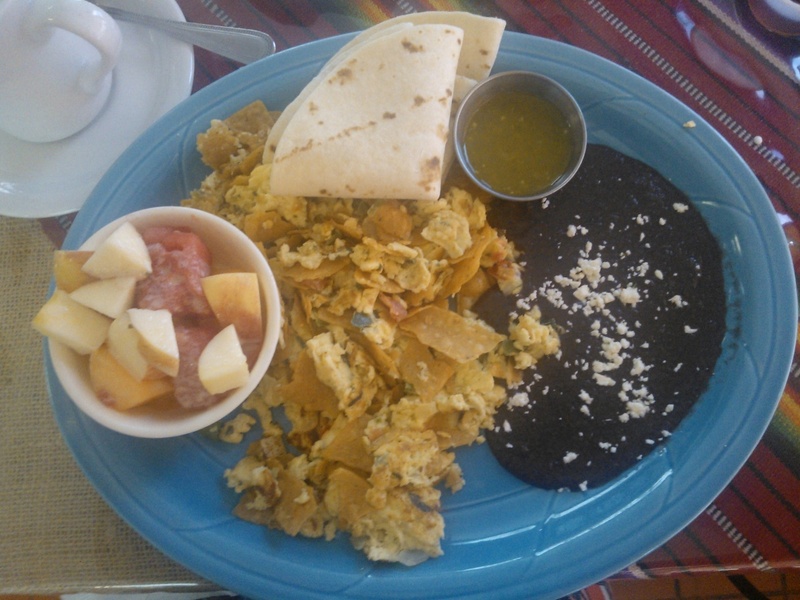 Migallas served with fruit in a sweet cream, fresh tortillas, & delicious black beans. Check out this recipe from Simply Recipes for the basic Chilaquiles. Feel free to add eggs, chicken, pork or steak to make it a hearty dish. 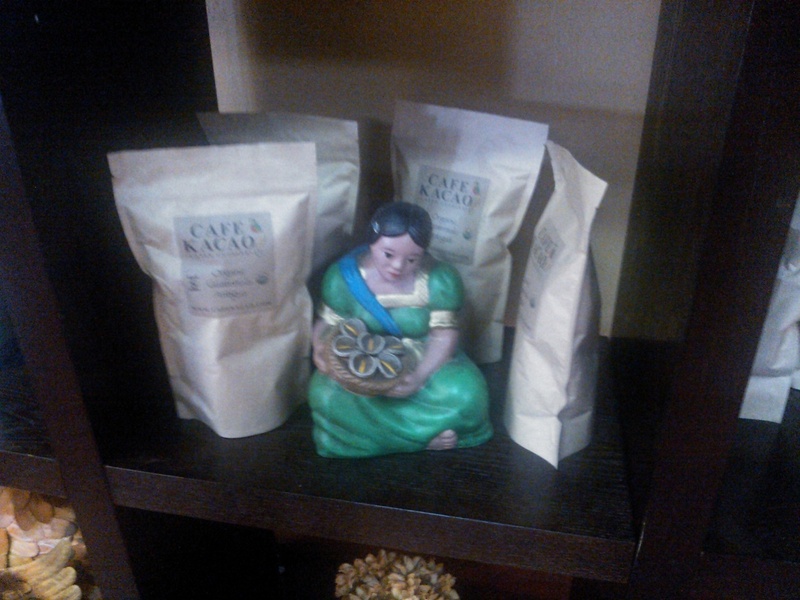 A little Guatemalan coffee made breakfast perfect! 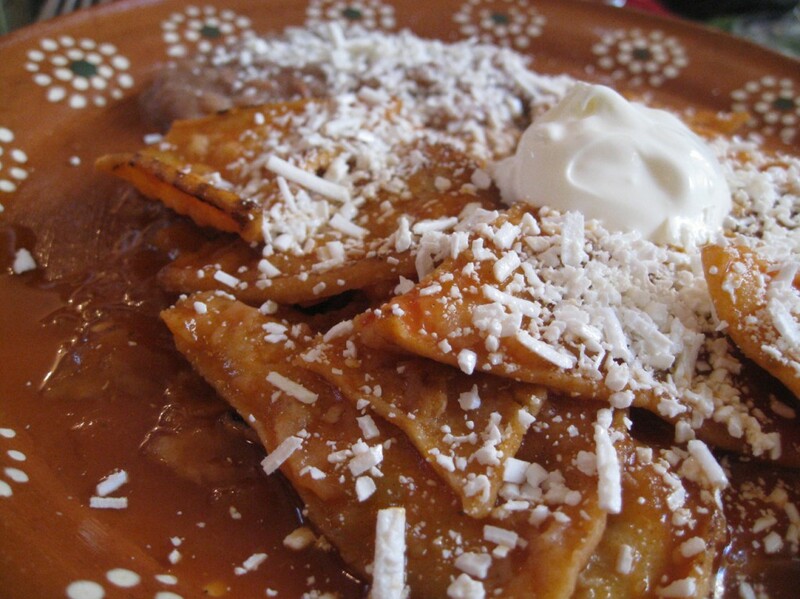 This entry was posted in Ethnic and Tasty and tagged Cafe Kacao, Chilaquiles, Culture, Ethnic Food, Food, Guatemala, Mexico on August 6, 2012 by eliseblalock.